More details on Madonna’s performance! According to the New York Times, an on-air wedding of 34 couples — gay, straight, old, young, of many races and many colors. 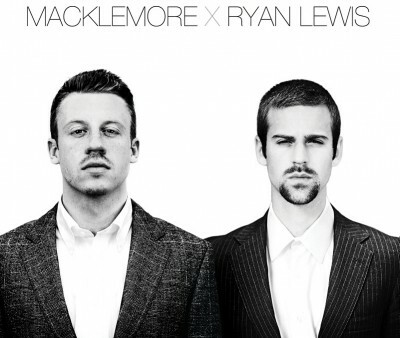 The ceremony will be part of the hip-hop duo Macklemore & Ryan Lewis’s performance of their Grammy-nominated song Same Love, which became a marriage-equality anthem last year just as that issue was drawing intense national attention. According to Gerrick Kennedy, writer for the LA Times, Madonna will be performing with Macklemore, Ryan Lewis and Miranda Lambert! The Grammy Awards just released a new press release which confirms that Madonna will be performing at the 56th Grammy Awards! The latest performers for the 56th Annual GRAMMY Awards® telecast were announced today and they include: seven-time GRAMMY® winner Madonna! According to Access Hollywood, this is what the Grammy seating chart looks like! According to the LA times, Madonna and Beyonce might make an appearance at the 2014 Grammy awards. Madonna is expected to pop up and lend guest vocals during a performance from one of the night’s nominees, an additional source confirmed. Longtime Grammy Awards show producer Ken Ehrlich said he “can’t confirm” an appearance from Beyonce during an interview with Pop & Hiss to preview the show. Ehrlich didn’t confirm or deny Madonna’s involvement. Please keep in mind that nothing has been confirmed yet! Who would you like Madonna to perform with?